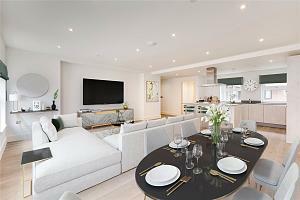 A mix of 14 one, two and three bedroom apartments and two penthouses with a unique view of the Thames in South West London. Each of the 16 luxury apartments have been designed for modern, contemporary living. 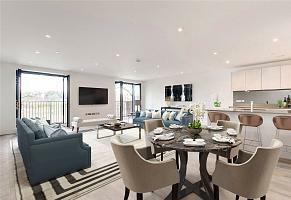 The development offers private outdoor spaces, secure gated parking and an unrivalled view of the finish stretch of the Oxford v Cambridge University Boat Race. 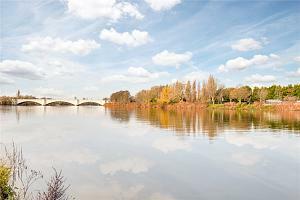 This peaceful and spectacular setting also offers opportunities for beautiful walks and cycle rides, as well as easy access to Barnes Village for a mix of high street and boutique shops, bars and restaurants. Ashbury & Bloom are a premier development company that focuses on providing luxury residential developments in and around London. The development offers spacious, iconic, riverside living, with high ceilings and generous proportions, enhancing each apartments’ open plan design. This, complemented by high specification and finishes throughout, is sure to exceed the expectations. 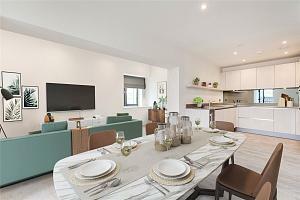 Perfect for relaxing and entertaining, the apartments are architecturally designed to enhance the unique position of Boat Race House in harmony with the natural environment. At Boat Race House there are an abundance of transport links. Mortlake Station provides a regular train service into London Waterloo. Barnes Bridge Station is also close by and the nearest tube station is Hammersmith, which is on the Hammersmith and City, District, Piccadilly and Circle lines. The Thames Clipper express river boat runs a convenient and alternative way of travelling to Canary Wharf. For national and international travel, Heathrow Airport is just 13 miles and Gatwick 31 miles away.